Bruno Cathala is not only a great designer, but also a nice funny guy. He’s the man behind some of my favorite games (including Five Tribes, Mission: Red Planet, Jamaica and 7 Wonders: Duel). He’s also a very busy man, but I did “trick” him into giving a short interview. Well… After 18 years working as R&D engineer in material sciences, I became a full-time game designer after being fired for economic reasons. I’ve always been passionate about games. All kinds of games, in all categories. There are games i love, and other one that are not for me. Magic: The Gathering, but also an abstract game called Gyges are at my top. 5 years ago, I was in the states. I enter in a small restaurant, where some people were eating, others where watching NFL on TV and four guys were playing Shadows over Camelot !!! I asked them if i could take a picture of them playing the game. They agreed but asked me why I wanted to take this picture. I answered “Because I’m one of the designer of the game“… They didn’t believe me, so i had to show them my passport! Then, they were so happy that we took a lot of pictures together and i had to sign their copy… Amazing! The best is all the social interactions that games create with other players. Games reveal your true personality. To forget that we are all just are waiting for our deaths. 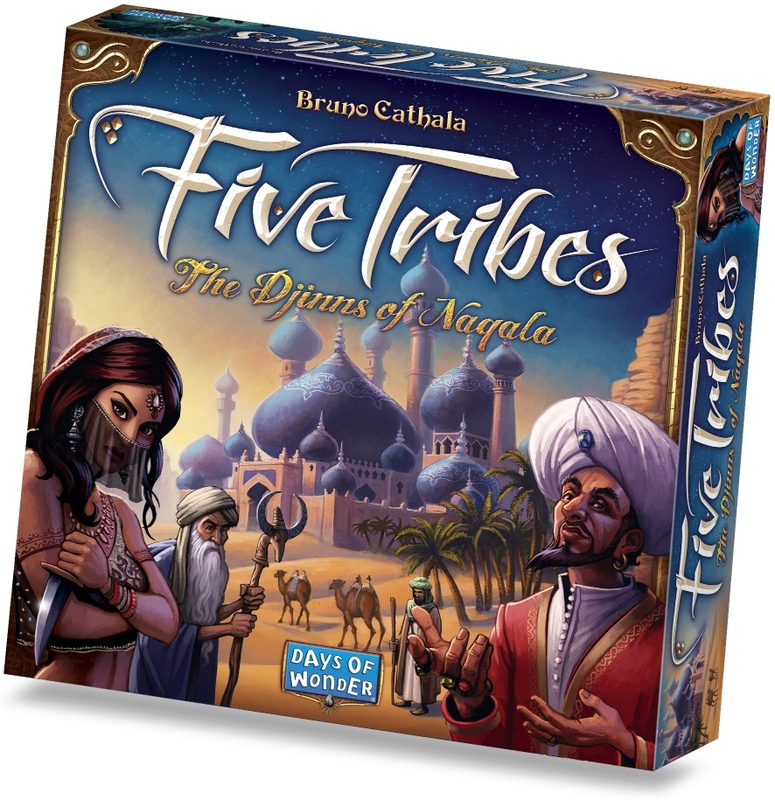 Probably Five Tribes, for personal and professional reasons. It’s a game I still play again and again, without getting bored. The last 20% of the development which takes 80% of your time. Having ideas is not that difficult. Being able to develop them start to end is something different… And that’s what makes the difference. It depends, I would say 50-50… And don’t forget that it’s also possible to start from a specific kind of component you want to play with. I never sit at my table reaching for ideas. They come to me when they come. And their birth is probably the result of a lot of influences, like books, movies, games and discussions that crossed my life in the past.